Get FREE Instant Access to Our PoE Calculator! 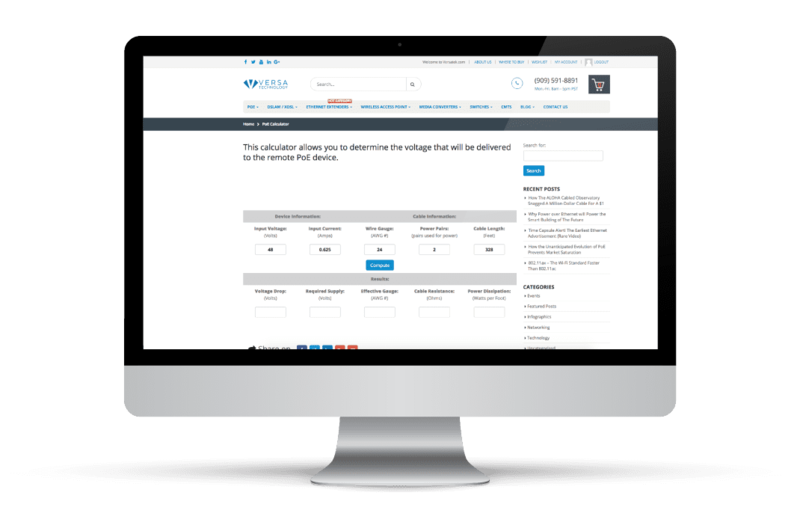 When you sign up for our newsletter, you will be able to determine the voltage that will be delivered to your remote PoE Device! When you sign up for our newsletter not only will you receive our Power over Ethernet (PoE) Calculator but you become a VIP subscriber and join our expansive group of IT professionals who receive exclusive offers and the latest developments in the Telcom and computer networking industry.